What an achievement for both of them. Shennell’s was referred to Growing Talent by her brother who I’d worked with previously on a programme called the Real Apprentice. Due to various things going on at the time, Shennell decided to take a break from her University Studies in March 15 and work for a year before deciding what she really wanted to do. Would this be a return to Uni, travelling or employment – so many options! She arrived at the Assessment Day not knowing what to expect but was open-minded. Nervous on entering the room full of strangers, she soon started to relax and join in. All of the assessments are designed to be fun and inter-active enabling true personalities to be seen and good matches made. 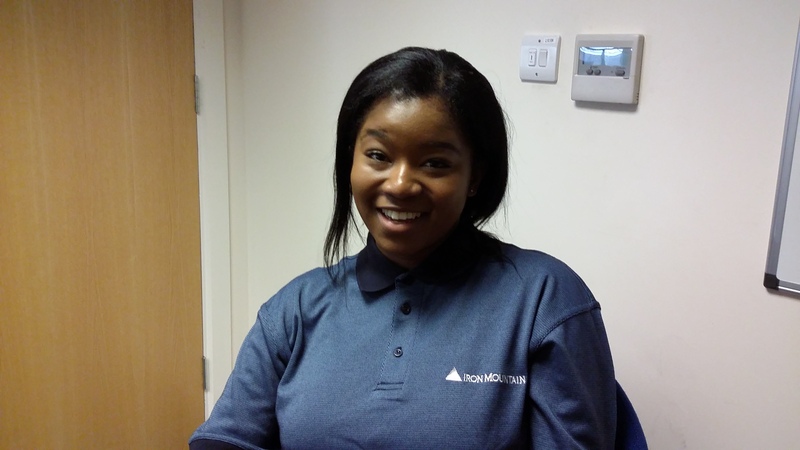 Selected by Chloe & Russ of Iron Mountain, to train to be a Data Specialist, Shennell joined the team close to Canning Town. Learning the processes quickly, Shennell showed her commitment and focus from the start resulting in an excellent first appraisal, followed by the offer to start paid employment from 29 June instead of 27 July! Alex looking every inch the manager not a Growing Talent Associate! Alex had a passion to join the Army from a young age. His dad didn’t share his plan. At the age of 16 when Alex wanted to join but needed parental consent, his dad said no. So he carried on with studies etc before raising the issue again at 18, thinking he no longer needed his dad’s position. However, living at home means parents rule! So job searching commenced with little success. This is often the case when we can’t follow our passion. What role would suit us? What company do we want to work for? Alex secured some work experience with his local JobCentre. 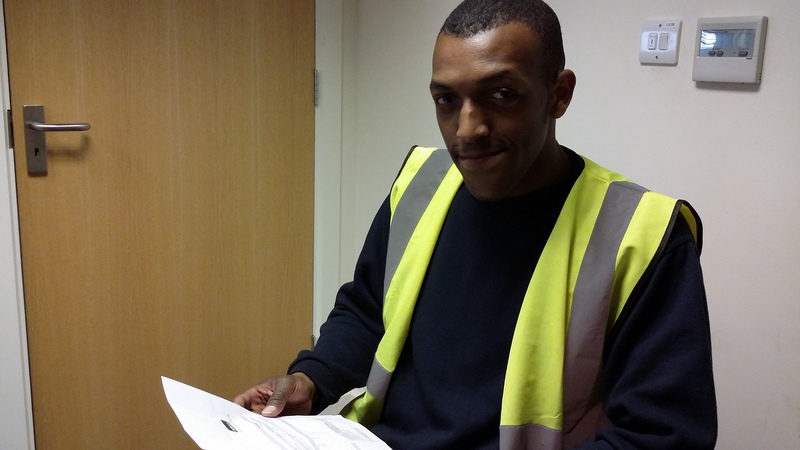 Impressing the Employment Coaches with his tenacity, they put him forward to Growing Talent. Alex won offers from a few companies with roles ranging from administration, mailroom to data specialist. His older brother had worked at Iron Mountain previously and Alex was particularly attracted to their offer of Data specialist. Like Shennell, he impressed Iron Mountain and has also started paid employment four weeks early. Russ, their line manager is still freeing them up to attend the Holistic Week commencing 22 June when personal finance, fitness, nutrition and mental health first aid will be delivered. ‘Everyone’s a winner’ – as I believe Hot chocolate once sang!